I don’t know about you but I am definitely starting to feel the autumnal chill in the air! But to be honest I actually like autumn. Yes I know I know it rains and it gets cold and the nights get longer …… but there is something kinda nice about all that when you’re warm and toasty inside! Think cosy clothes, sitting by the fire and yes you guessed it, big bowls of warming soup! Another thing I really looooove about autumn is the Veg. Yep I know I’m a food geek and I don’t care! But seriously think butternut squash, sweet potatoes, carrots, apples, blackberries, figs and pears! The list goes on! Now on to the good stuff! 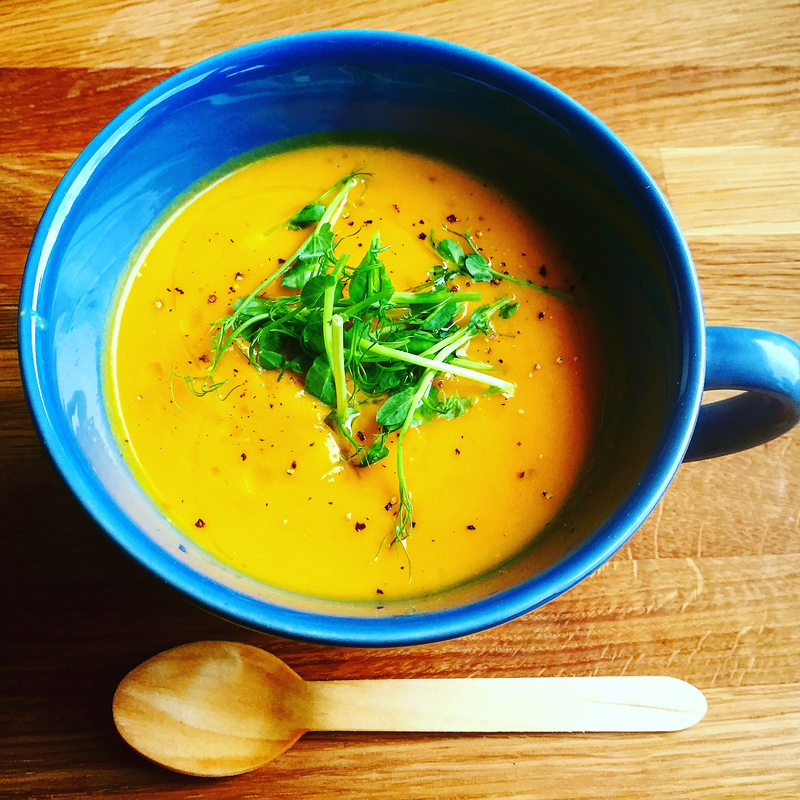 This soup is jam packed with seasonal goodness. It’s mega rich in vitamin A which is really good for your skin, teeth and eyes, and it’s a brilliant source of vitamin C, manganese, copper, pantothenic acid, and vitamin B6. This one will not only warm you from the inside out, it’ll perk up that beautiful immune system of yours! Take that winter bugs! 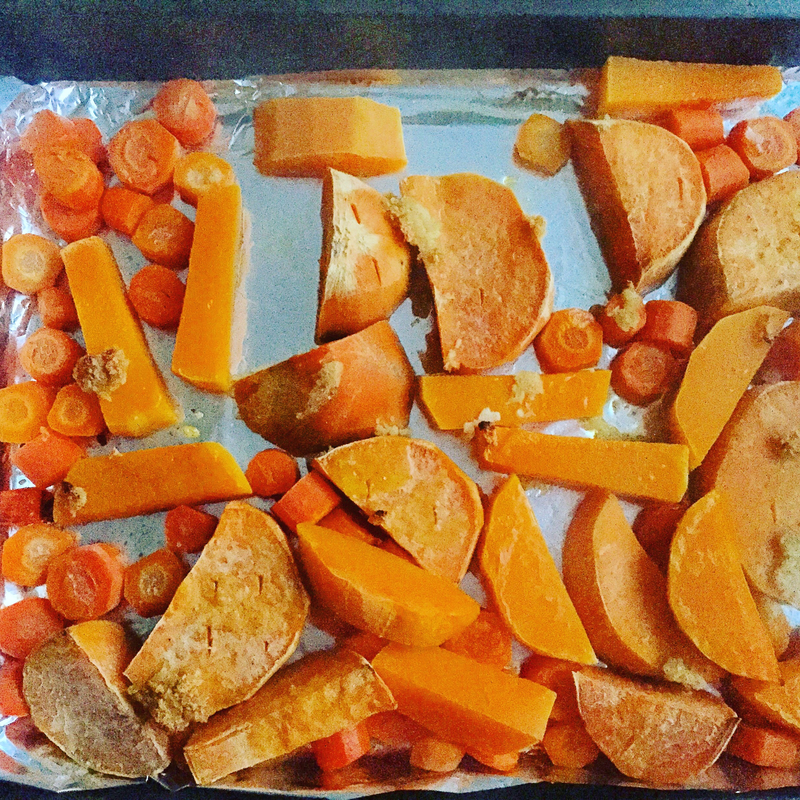 Place the butternut squash, sweet potato and carrots on a baking tray and roast in the oven for 15 -20 mins until tender and juicy. 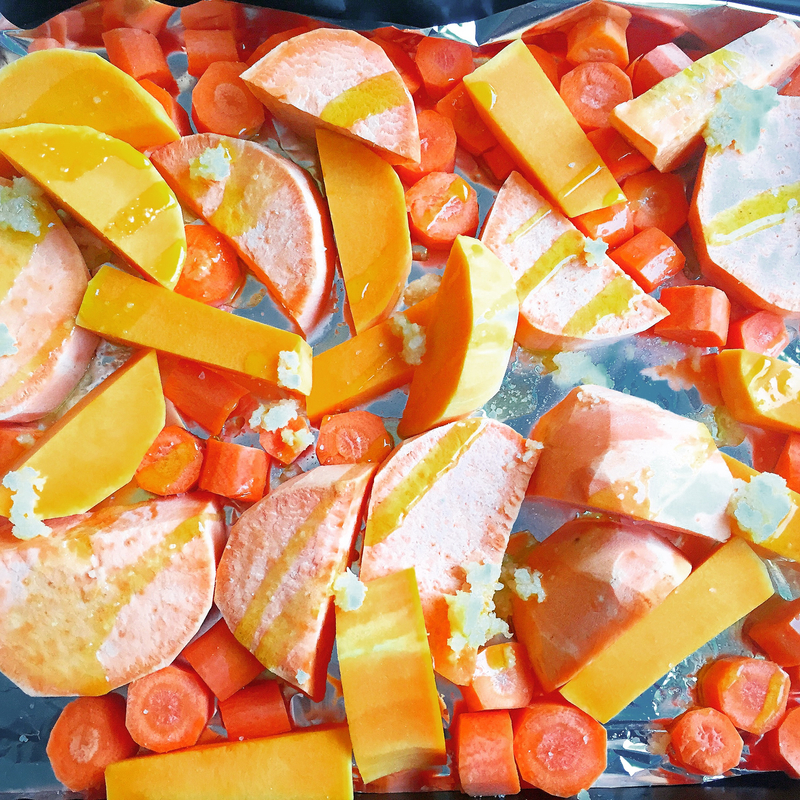 I usually drizzle a little olive oil and a sprinkle of sea salt on the veg before they go into the oven but totally optional! Pop them into a food processor with the tin of coconut milk. If you don’t have a food processor you can use either a blender or a hand blender or if you really want to be difficult a potato masher. 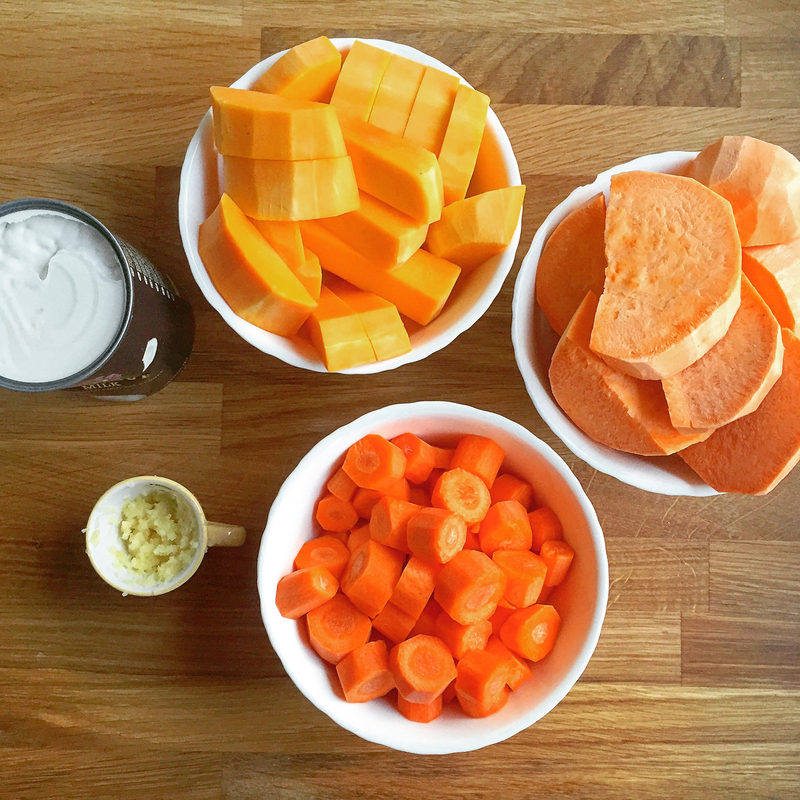 Once all of the ingredients are combined and smooth, pour into a saucepan and fill the empty coconut milk can with water, add this to the soup and then heat. I like my soup quite thick but feel free to add more water until you’ve reached your desired texture! Once hot, pour into bowls and devour with a squeeze of fresh lime juice and some thick chunks of Sourdough bread! Yum!